Lost No More tapestry shows Christ tending to his sheep. In this inspirational tapestry we see Christ in a forest scene where he offers protection and leadership in a symbolic manner as a shepherd with his staff. 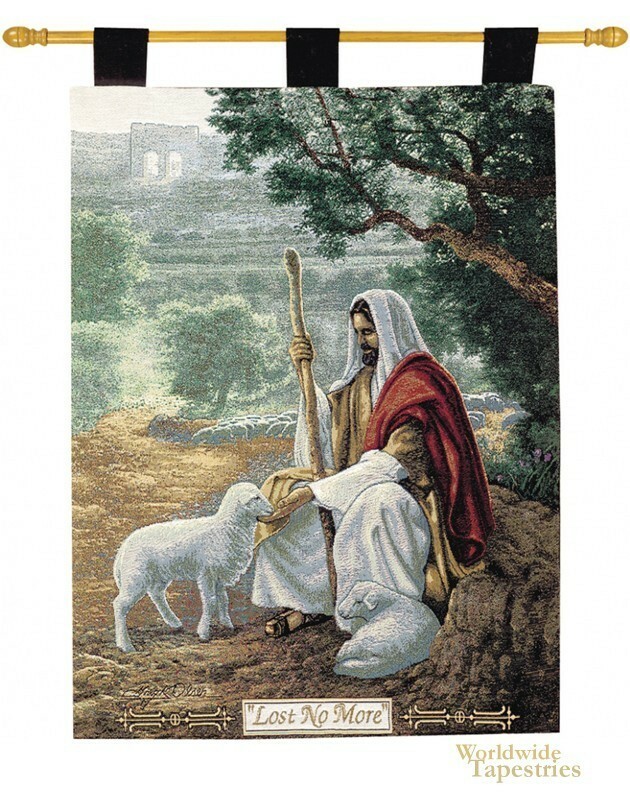 This Christian tapestry is backed with a lining and a tunnel for easy hanging. Note: tapestry rods and tassels, where pictured, are not included in the price.